It's been a good week for Getty Images photographer Greg Fiume. First, he grabbed a spectacular image at Camden Yards of Orioles outfielder Adam Jones flying the friendly skies. 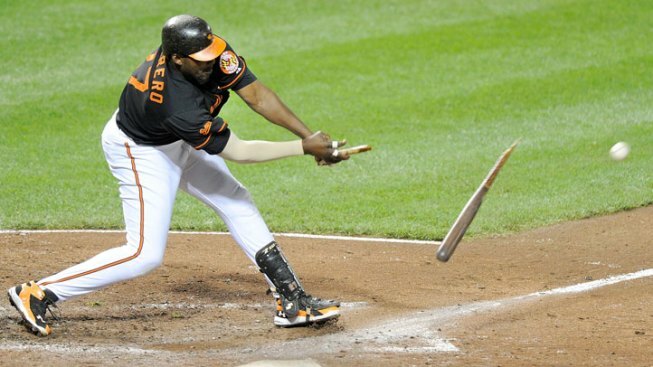 That's the free-swinging Vladimir Guerrero breaking his twig in half while taking a hack against the Nationals.